Weitere Information dazu finden Sie in den unten genannten Rubriken. Nautilus Marine Service bietet für eine Vielzahl von Produkten die Möglichkeit, Service und Wartungsarbeiten auszuführen. Im wesentlichen betrifft dies die Erzeugnisse der maritimen Sicherheitsausrüstung. Rettungsmittel wie zum Beispiel Überlebensanzüge unterliegen einer regelmäßigen Prüfpflicht. 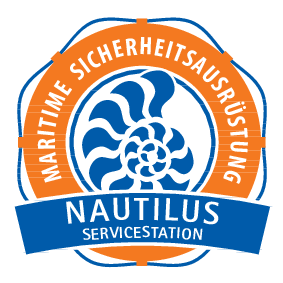 Nautilus Marine Service betreibt eine zertifizierte Servicestation, um die dazu notwendigen Inspektions- und Wartungsarbeiten fachgerecht durchzuführen. Leinenschussgeräte sollten ebenfalls regelmäﬂig durch unsere Firma überprüft werden, das gilt insbesondere für die TÜV-Prüfung der Druckluftflaschen. Wartungs- und Reparaturarbeiten an meerestechnischen Erzeugnissen sind aufgrund der Komplexität dieser Produkte meist nur durch den Hersteller ausführbar. Nautilus Marine Service bietet für den dazu i.d. Regel notwendigen Versand der Geräte umfangreiche Unterstützung in Bezug auf Logistik, Import- und Exportabwicklung. All deep-sea applications require high quality and pressure-resistant components. Although computer-based calculations and sophisticated simulation algorithm are available today and certainly help to shorten the development process for such parts, only a test can really prove, that the design is according to specification, the right material has been chosen and that no signs of fatigue over the planned operation period will occur. Furthermore, during a pressure test, the dynamic performance of a single component as well as of a complex assembly can be monitored and studied. As a result, existing designs can be improved before deployment or optimized after realization of any deficiencies in operation. Last but not least, pressure tests are often mandatory as part of the certification process to be accomplished by a notified body. 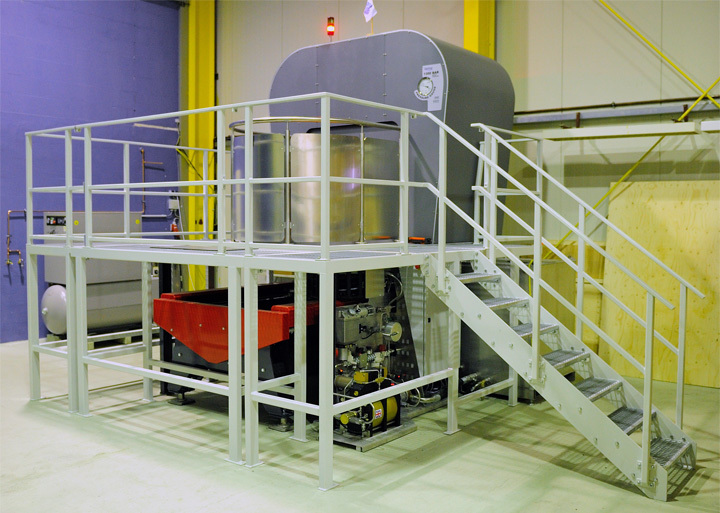 Nautilus Marine Service GmbH operates a pressure test chamber with capability that extends to full ocean depth and beyond, and it has the pressure test chamber available to outside clients also to carry out contracted pressure testing. The pressure chamber is primary designed to meet the challenging demands for conducting tests on VITROVEX® glass enclosures and related products and has been optimised in terms of speed, accuracy and robustness over traditional pressure test facilities. Please follow us below for a more detailed specification. Do you need a comprehensive design that meets specific requirements? 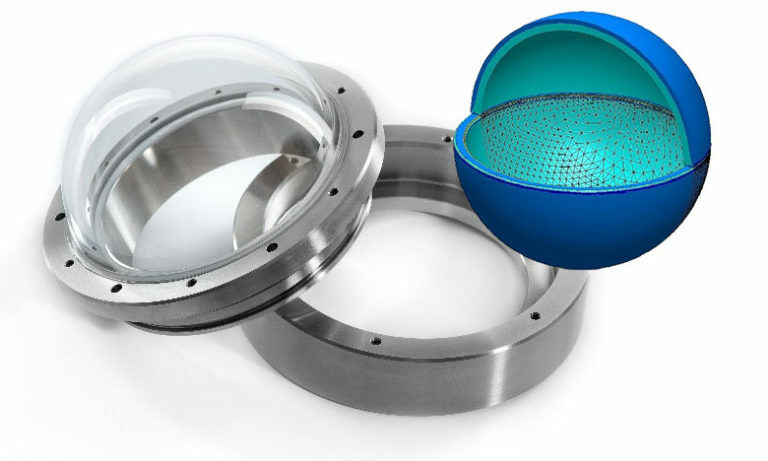 Although Nautilus Marine Service is specialized in the production of pressure housings made of glass, we can further advise on high-quality turned and milled parts in complex geometries for pressures vessels in general. In addition to widespread stainless steel, we also support non - ferrous and Titanium alloys as well as high performance plastics. During the design phase of components and assemblies, strength and lifetime calculations are performed. These calculations will be carried out in accordance with applicable regulations, standards and accepted literature. With the help of the finite element analyses, the actual load conditions can be made visible and multi-axial stress conditions as well as the resulting elastic and plastic deformations become obvious. Due to this, components and assemblies can then be structurally adapted or optimized in detail. The designs we create are always evaluated in terms of its technical feasibility, economic success and existing risks. Our services in this regard can be scaled and include all necessary technical documentation such as drawings, reports or parts lists as well as detailed requirements related to manufacturing. Upon request, we also take on production and logistics. 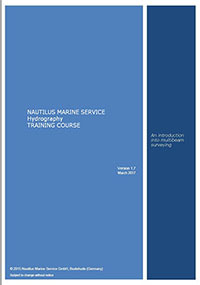 Nautilus Marine Service provides training courses for all our available systems and components. Our courses range from simple introductions over hard – and software courses to extensive hydrographic trainings. The latter comprises hydroacoustics, echosounder functionality and calibrations as well as extensive and comprehensible courses of hydrographic software, adapted to the customer’s needs. Training Courses can be held in German or English.